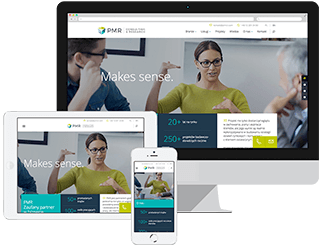 PMR consultants help you develop better marketing solutions and sales strategies that lead your business to adapt to local environments in Central and Eastern Europe. We provide you support in performing as fast as the business environment is changing by replicating a part of the value chain – sales and marketing formats – accordingly in various countries. How should I better market my products down the chain in Central and Eastern Europe? Why do I have to approach my customers e.g. in Poland and Russia differently when selling the same product? How do I draw conclusions from the big amount of raw, bulk end-user sales data? Successful sales and marketing strategies require a continuous market-based learning, thorough studying of B2B or B2C buying behaviour, and a quick and adequate response to the current needs of the market. PMR consultants transfer their skills and knowledge of sales and marketing activities in CEE and CIS countries to you with an aim of improving your approach so that you maintain successful customer relations and steer their interest throughout longer periods of time. We generate an overview of the market structure and major demand stimulators, major market players, pricing strategies and tariffs. Importantly, it includes an analysis of your likelihood of successfully fulfilling your objectives. Our ultimate goal is to support you in maximising your return on investment (ROI) and to help you make the right decisions for expansion. Should you request it, PMR Consulting can also develop a tailored entry strategy for the CEE, SEE or CIS market or markets that interests your business. If we find that your business has a reasonable chance of being successful, we recommend a market feasibility study. It does not always make sense to assume that there will be a market in Central, Eastern or Southern Europe for every product or service. With this in mind, the purpose of a market feasibility study is to save you time and money by providing an informed assessment of the chances of success. Where market entry is the recommended or desired path, PMR Consulting is on hand to provide distributor search services. Harnessing our extensive knowledge of local markets and the main operators on these markets, we can assist you in identifying the best candidate to help you export your products. This service includes partner selection, introduction, assistance in negotiations, legal advice and anything else that helps you to achieve your objective in a given market. overview of market opportunities, potential dangers and business climate. conduct research into the main producers of similar products in each of the markets requested by our client (this research could involve the use of PMR data, Internet research, phone interviews and any other means that are relevant to the client or market). meet and talk to local distributors and producers in order to understand the challenges and opportunities on the market. If the conclusion is that it is not in your interests to attempt market entry at this particular time, we make specific recommendations for further action and are ready to implement them if and when required.